I have heard good things about the honest company. I was there for the WGS event and loved it (in spite of the rain). Nice to know the baby boot camp was informative too! Hi Raquel! I wish that I could have attended the entire WGS event! Next time! I have been hearing such great things about it! It sounds like you had such a wonderful time. I love getting together like that. It is so fun to hang out with like minded people and to laugh and learn. Thank you Gina, it was a great time. Maybe one day we can meet up IRL at an event! That's cool a 360 degree carrier.. I have previous ergo for my kids and they loved being it it back then. Hi Dominique! I saw on facebook today that Ergo just one an award from BabyCenter as 2014 Mom's Pick for Best Baby Carrier! cool I love that Liz Lange dress! Isn't is nice Tamika? I love the dress too. Thank you Liz Lange!! I love the black dress. It's elegant yet comfortable! I love it to Nicole! You said it: elegant yet comfortable! I love the Liz Lange maternity dress! It sounds like a lot of great content & information was shared at this conference. 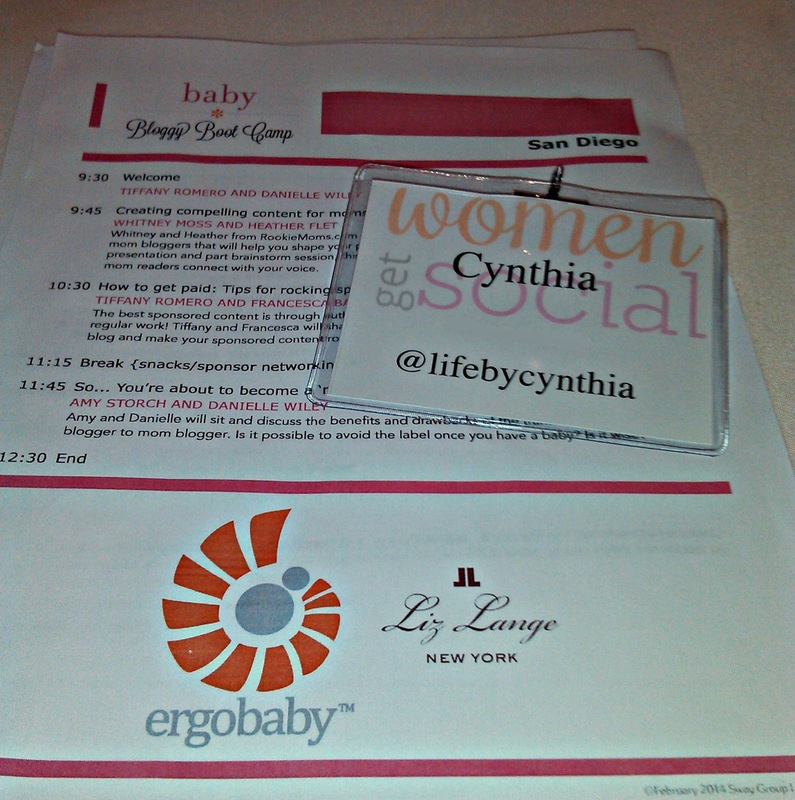 I hope to go to a Bloggy Boot Camp/Women Get Social conference in 2015. HI Jennifer! I totally want to to go to the next Women Get Social conference. See you there? Great summary! Thanks for your nice words.